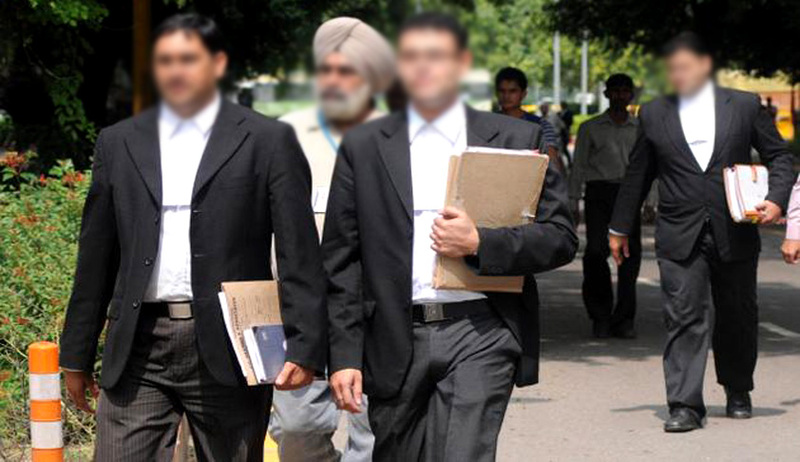 Lawyers to be provided social security by the UP Govt. The UP government has decided to provide life insurance covers to lawyers in UP, Chief Minister, Akhilesh Yadav announced on Monday. The State Government has set up a corpus fund of Rs 200 Crore and plans of giving Rs 5 lakhs each to the families of lawyers who dies before 60 yrs. The State Government has reportedly set up a corpus fund with Rs 200 crore for this purpose. "Earlier, there was no social security for lawyers. That is why we have been demanding for long that families of lawyers be given Rs 5 lakh each in case of untimely death. The government has finally accepted our demand. This was on Samajwadi Party's (SP) election manifesto during the 2012 assembly elections. The legal community of Meerut has welcomed this move. On September 12 (Saturday), a delegation from the Bar Council of Uttar Pradesh will meet the chief minister at his residence in Lucknow. They will collect the first batch of cheques under the scheme to be distributed to the families of deceased lawyers. Advocates under the age of 60 who died after January 1, 2014, will be entitled to these benefits. None of this money will come from the lawyers' pockets, and so it is not like a conventional insurance scheme. This will be government money," President of Meerut Bar Association, Rohtash Kumar Agarwal said. "We appreciate this step taken by the state government. I have written to bar associations across Uttar Pradesh and asked them to send letters of appreciation to the chief minister. This is the first time in the history of this country that any government has taken such a step. We appreciate the fact that the SP government has realized that lawyers face dangerous occupational hazards, and has done something to address the issue," Meerut Bar Association said hailing the decision of UP government as historic and this was the first time any government in India had taken such a social security measure. "According to the information, families of 17 lawyers from across UP will receive the cheques on September 12. The rest will be distributed later. The state government has set up a corpus fund for this programme. Currently, the amount in the fund stands at Rs 200 crore. The money being given out now will be from the interest accumulated on the fund. This means that the principal amount of Rs 200 crore will remain untouched. It will be for the sole purpose of providing social security to lawyers in the state. Even if the SP loses power in 2017 elections, this fund will remain. This is unprecedented." Sanjay Sharma, secretary of Meerut Bar Association stated. In June, after a 32-year-old lawyer, Sunil Chindodi, was shot at in his house by three unidentified attackers, Meerut Bar Association held a protest demonstration at the senior superintendent of police office. The proposed protest was called off by the Central Action Committee for the establishment of a High Court bench in western UP to demand social security for lawyers on September 11.